major marg. celebrating being done with wednesday. i was 'observed' at the U. it was actually fun, a great class. and so i took myself out. but was home early, am always thankful for sleep, two lalas, health, family, friends, & so much more. miss my family today. 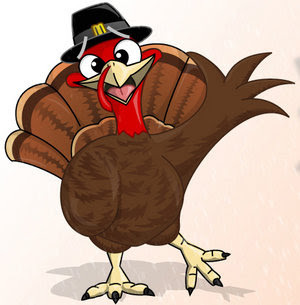 here's a manic pilgrim turkey spreading cheer. am thankful in 2011. lots of love to all who check this lil blog. happy thanksgiving.